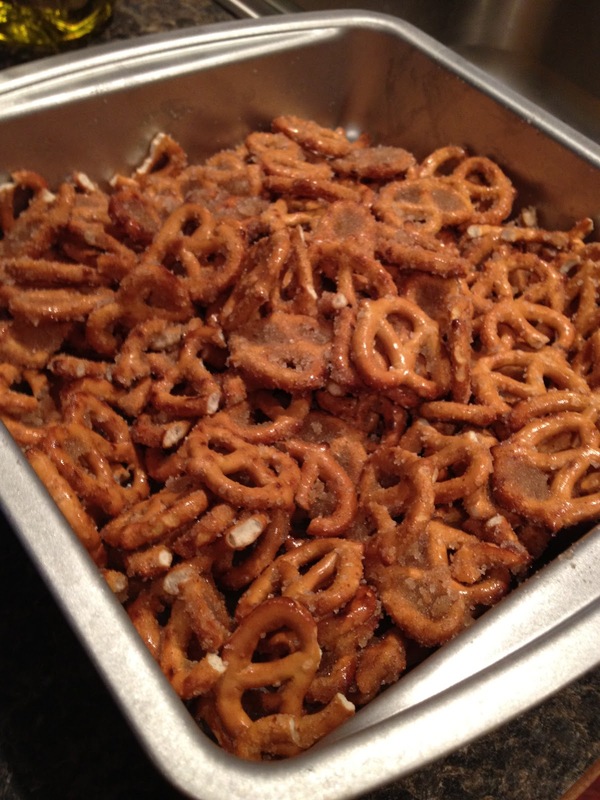 Football Anticipation & Food Review….. So, I’ve been told by several people (namely, Miss Abbie Odom) that I don’t update my blog enough. I wasn’t intending to update it today but here I am….now how did I get here? You see, I went to town hunting an Air Force blue dress at Belks for the first football game of the season – which I will be in just 2 short weeks – hallelujah! I do love some football. I also love Colorado Springs, the whole spirit of the Air Force Academy & most importantly, I love spending time with my wonderful family! It must have been divine intervention because the first dress I found was blue, in my size & it fit like a dream – which any girl can tell you really is a miracle. You almost never go into a store looking for one particular item & actually find it like that. To make things even better, it was on sale. That’s right – I got a $66 dress for just $21. Don’t say the Lord isn’t still working miracles, because he is! I also went hunting for some certain Halloween decorations; which I didn’t find, and I also bought groceries. I managed to drag everything inside before the weather decided to start up. I got hooked on Titanic, which was on HBO & so I was watching that…but the weather conspired against me & the torrential downpour outside killed the satellite. Which is really okay – I’ve only seen Titanic about 15 times. The ending doesn’t change: the boat sinks, Rose won’t scoot over & let Jack on the piece of wood, tears ensue… Seriously Rose, help Jack out. Alas…with that entertainment option gone, I decided that I’d blog. And that is where I’m at now, sitting at my computer with my semi-terrified dog (he hates bad weather) sitting at my feet while I type. I stole this from Lindsey – because I’m ready to be in Colorado Springs again. 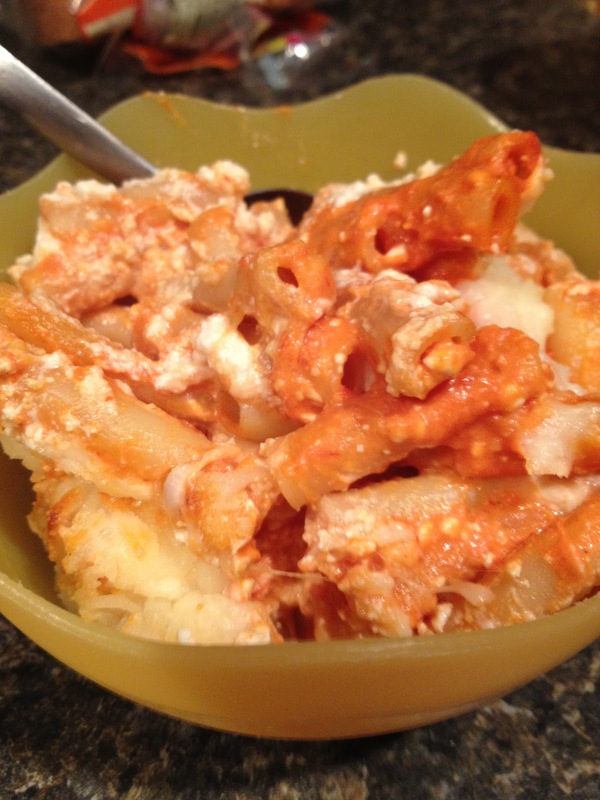 I decided I’d share a recipe that I cooked earlier this week. It was super easy & absolutely delicious. I found the recipe on, where else? Pintrest! I know some people have had bad luck with stuff on Pintrest but thus far I haven’t had any duds when it comes to recipes. Forgive the rambling, without any further ado, the recipe. 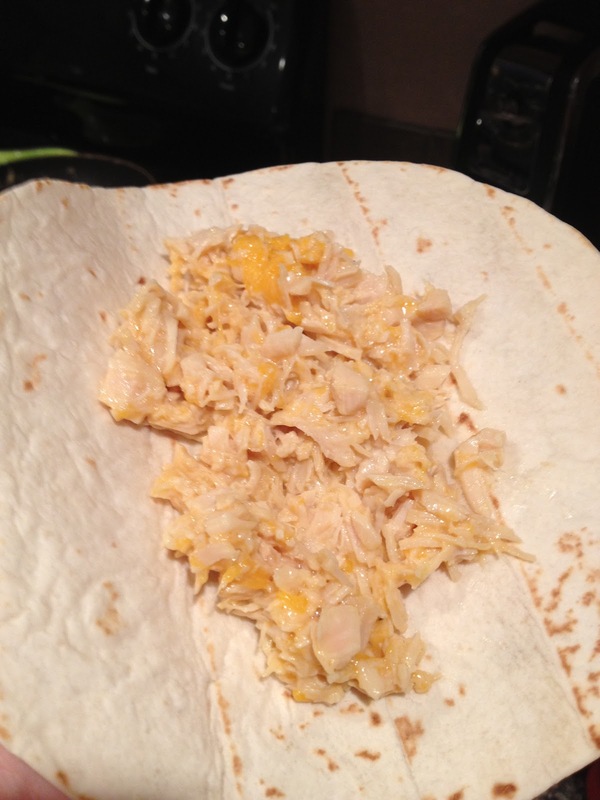 You start by combining your chicken with 1 cup of shredded cheese. Since I used canned chicken, I warmed it up in a skillet & mixed in some onion flakes, pepper & cumin, just to give it a little flavor. You don’t have to do this. Completely up to you. 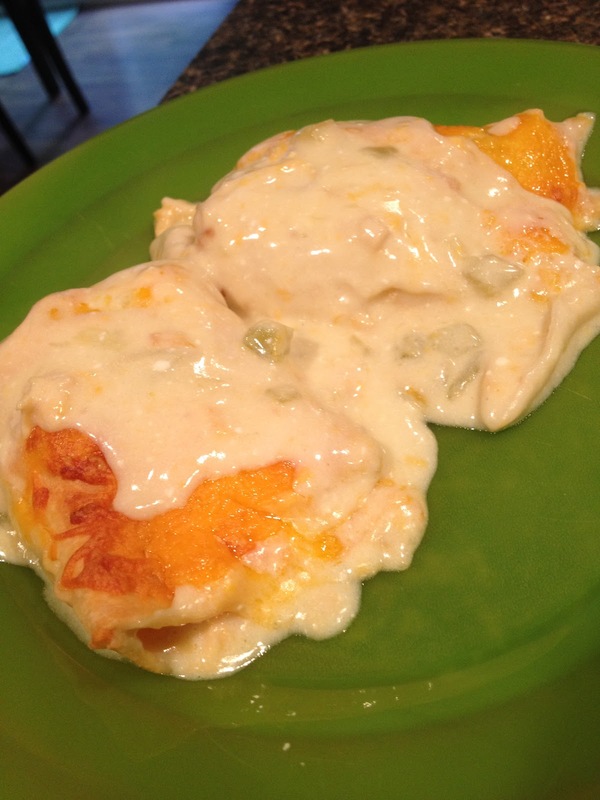 Mix together the chicken & 1 cup of cheese. 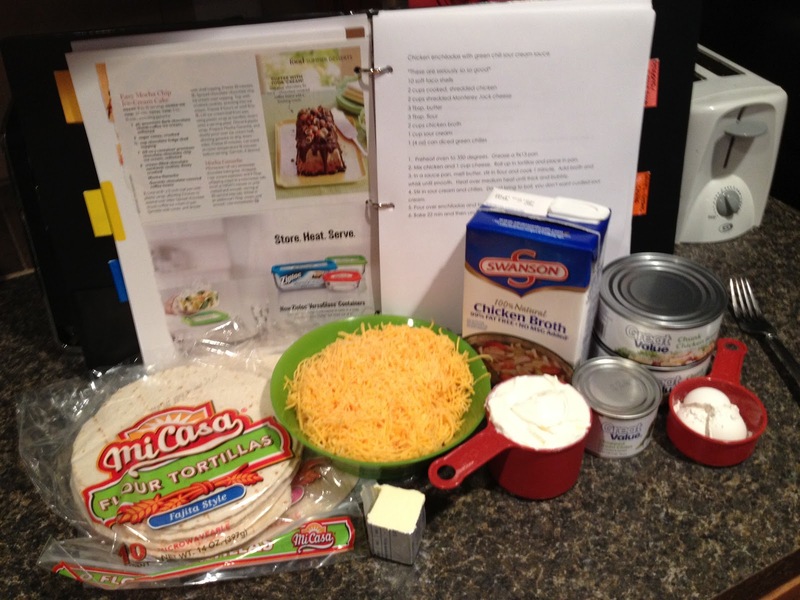 Fill the tortillas with the mixture & layer them in a greased 9×13 pan. Preheat your oven to 350 degrees. In a saucepan, combine butter & flour, whisking until it forms a smooth paste. Slowly add 2 cups of chicken broth, stirring continuously so that the sauce doesn’t stick or burn. This should start to form a creamy sauce. 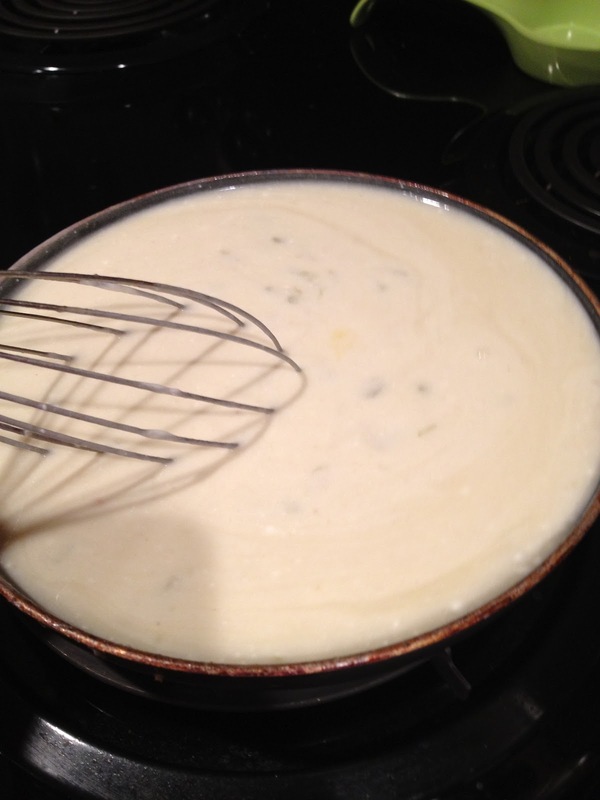 Add in the 1 cup sour cream, continuing to stir so that everything mixes well. 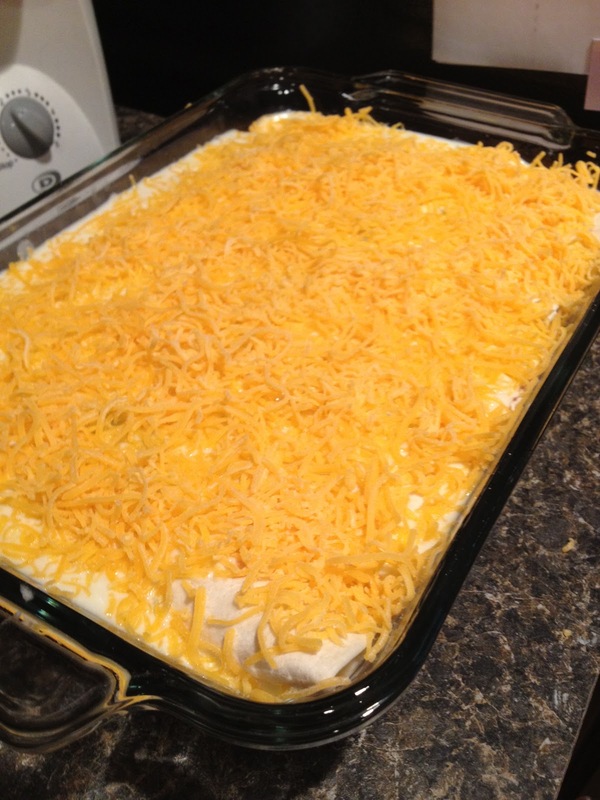 You will want to add the sour cream a bit at a time so that everything mixes together well. Add in the can of chile’s. Be sure not to let the sauce boil because you don’t want the sour cream to curdle. 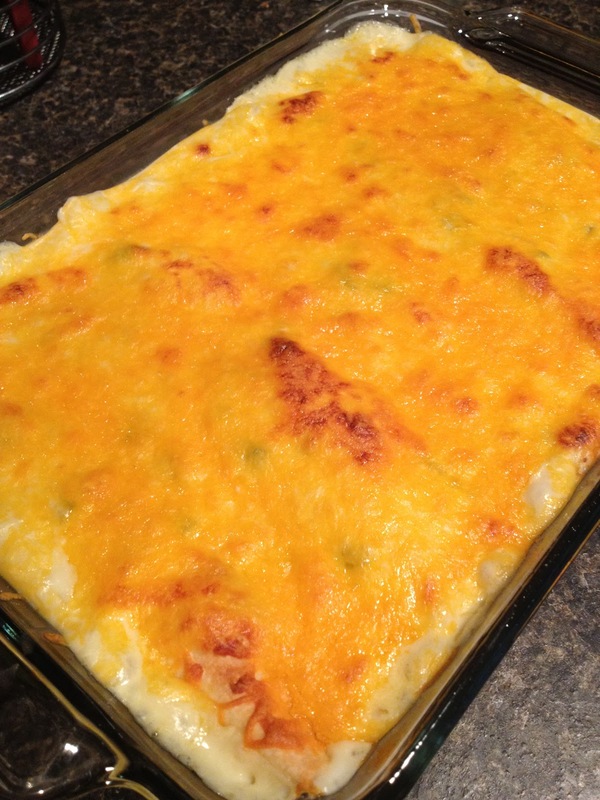 Pour the sauce over your enchiladas & sprinkle the other 1 cup of cheese on top of this. Bake in the oven for 22 minutes at 350 degrees. Use the broil setting for 2-3 minutes to crisp the cheese on top. 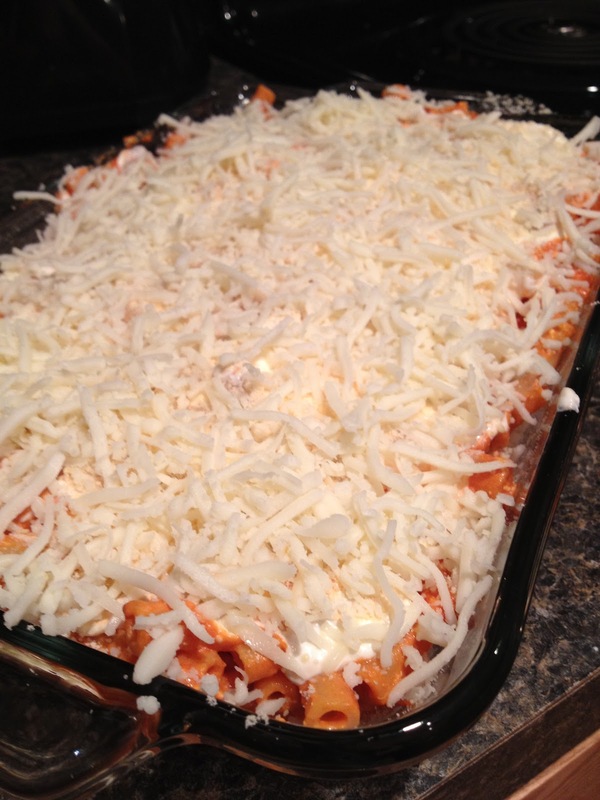 Take out of the oven, let cool & then dig in! These are seriously so good & extremely easy! 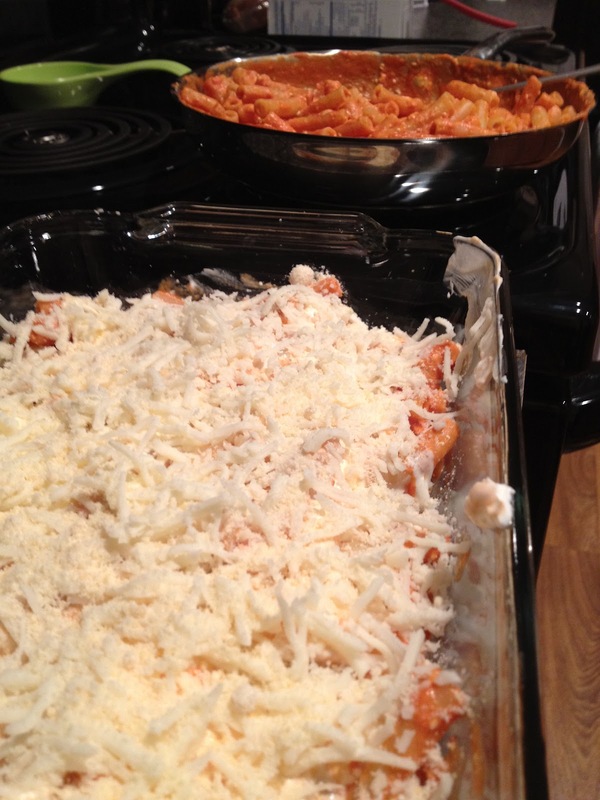 I took some pictures of my adventures in cooking – check them out below! Got all the ingredients ready…. Chicken & cheese – that can never be wrong. 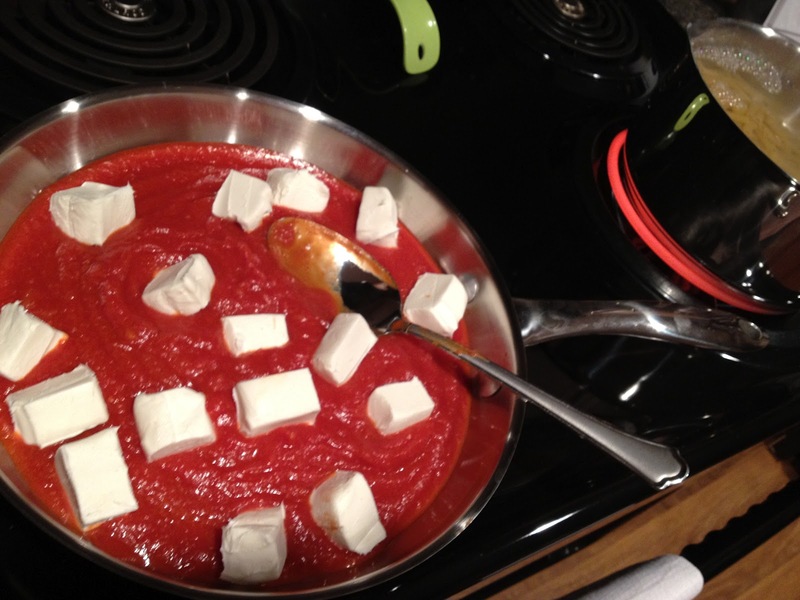 Mixing up the sauce – I probably should have used my bigger pan, but it turned out fine. 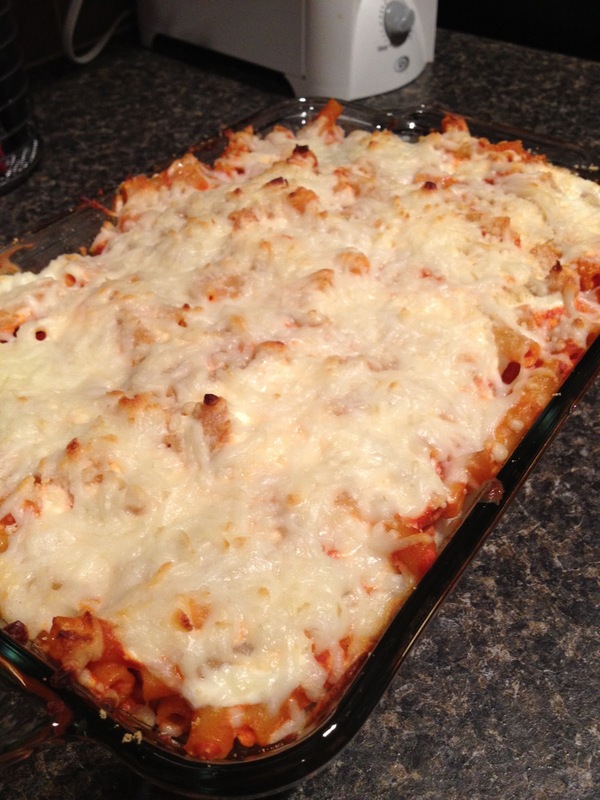 Once it came out of the oven – it made the whole house smell delicious! Yes please – I’ll have a big bite! Well, there you go. You should probably get out to the supermarket as soon as possible & get the ingredients to make these bad boys, because they are so absolutely yummy! I’ve got some other recipes to try & I’m thinking to buff up my blog, so that it gets updated a little more frequently, I might keep adding in posts about the things I cook up! 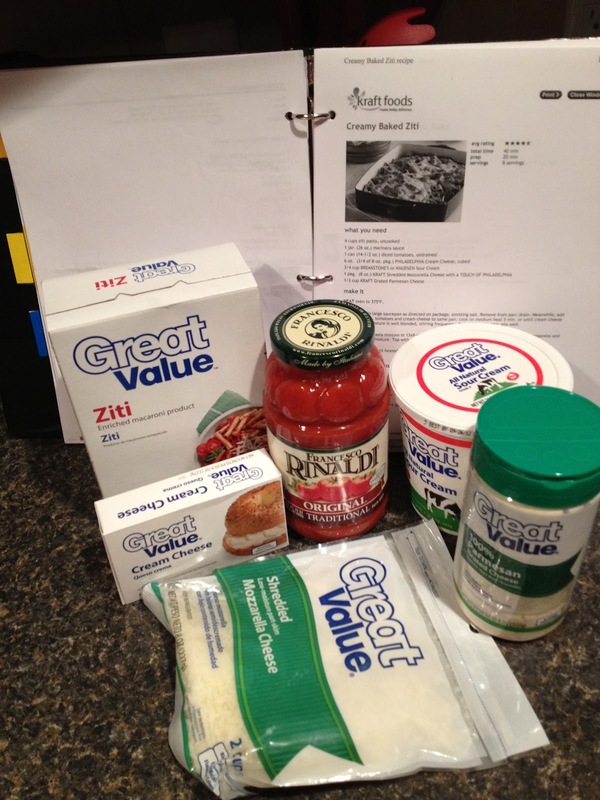 That being said, I think I’m actually going to go make sure I have all the ingredients I need to make some Creamy Baked Ziti & see how that turns out. Then my precious dog & I are going to spend this rainy Saturday evening watching “The Hunger Games”. 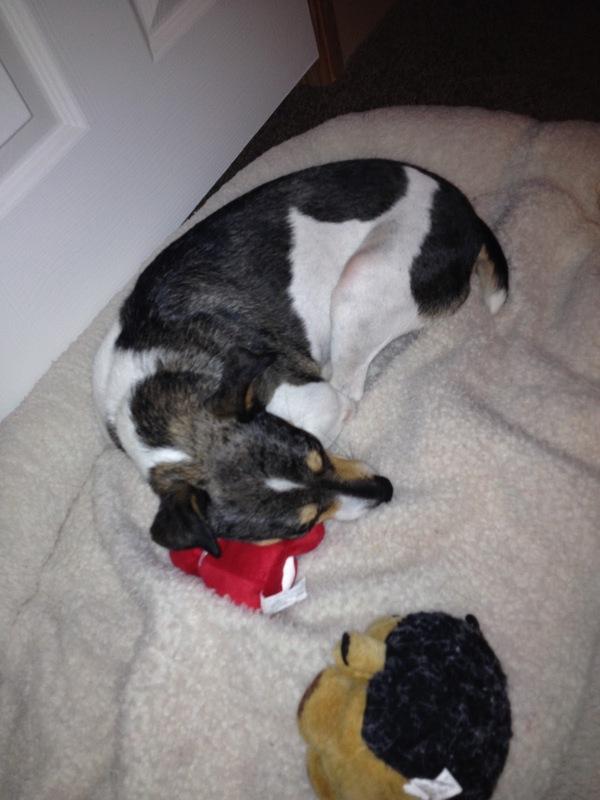 Taking a nap on this rainy Saturday afternoon….